Hey fellas! Valentine's Day is coming up. If you want a must-win gift for your special lady, here is a tip for you . 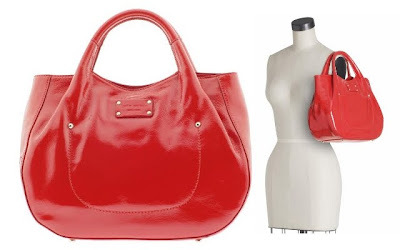 . . Red + Handbag + Kate Spade = Happy. Well, at least that equation would work for me. It's up to you to decide if Fire Engine Red is her color. I saw this Kate Spade 34th Street Treesh tote on Piperlime.com . I have yet to own a Kate Spade bag because I have been waiting for the perfect one. I just cannot spend that much money on a bag unless I know that I will love it for a long time. 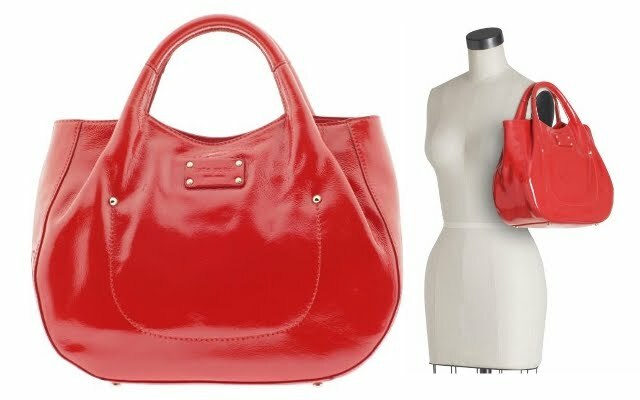 This one is red (my favorite color), structured, has double rolled handles, is made of genuine patent leather, and has four protective feet. Oh, and it's currently on sale for $205.99 on Piperlime.com (regularly $295.00). It is also the ideal size for me at 9-1/2"H x 13-1/2"W x 5"D. The one thing that keeps this bag from being "the" perfect Kate Spade bag for me is that the hardware is light gold, where I would very much prefer chrome. Sooooooo close . . .